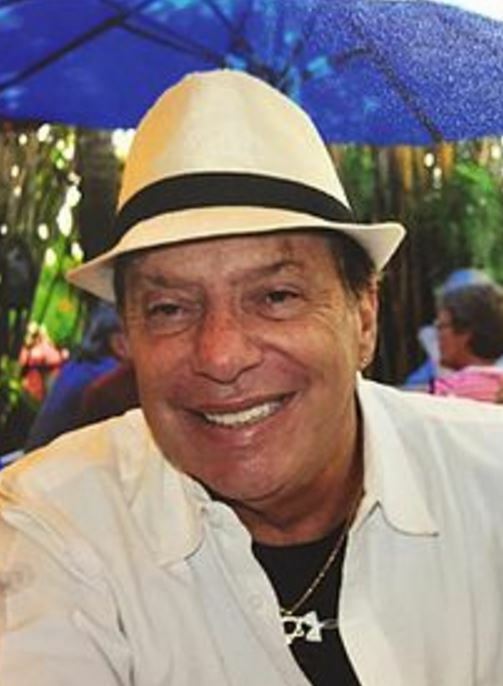 Norm Kent — criminal defense attorney in Broward County, publisher of the South Florida Gay News, and past chairman of NORML — may be the best thing that ever happened to Hillary Clinton, Patrick Murphy, and Democrats throughout Broward. At noon Thursday, Judge Lisa Phillips will hear Kent’s suit against Broward Supervisor of Elections and bastion of governmental incompetence, Brenda Snipes, brought on behalf of two registered voters in the county. At issue is the widely reported absence of Amendment 2, “Use of Marijuana for Debilitating Medical Conditions,” from the vote-by-mail ballots of certain voters, and its absence from at least one early vote ballot. First, regardless of what happens today, my guess is that the most recent instances of nincompoopism emanating from Snipes’ office have ALREADY been a boon to Democrats’ prospects. Consider this scenario: you’re an absentee voter, and like many such voters, your ballot has been sitting in your mail pile by the front door since it came last week. But then the evening news runs a story on ballots potentially missing Amendment 2. What do you do? You go grab that ballot out of the stack of bills, negative campaign direct mail pieces, and car warranty offers … and you make sure Amendment 2 is there. And now that you’ve opened your ballot and have it in front of you, you find a pen and a stamp, and you fill the damn thing out and stick it in the mail. Ever see or hear about those campaign communications that don’t advocate for or against a candidate but shame or embarrass the voter into casting a ballot? “Your neighbors have voted, why haven’t you?” That sort of thing. What’s going on in Broward County, and the attention it’s received thus far, should already be percolating a similar effect among Broward absentee voters. The problems so far seem relatively minimal in scope, but likewise appear to be greater than what Snipes’ offices have presented them to be. And it also seems clear Snipes can’t say for certain what the actual scope is — because she doesn’t know. So what is Kent proposing as a remedy? Despite his vast and storied history as an activist bomb-thrower, his solutions seem reasonable and prudent on their face. He requests a clear remedial solution for absentee voters who have or had one of the misprinted ballots in question. Kent is asking the court the compel the SOE to educate and put on alert both SOE staff and Broward County voters as to the potential absence of Amendment 2, imploring their vigilance in making sure the issue is present on ballots. At its most basic, what Kent seeks for Broward County voters — and by extension, Democrats writ large, since their numbers in the county are so dominant — is to have the SOE step up in a public way to reassure and educate the electorate on the essential integrity of the elections. Putting aside that the SOE should already be doing so with both their conduct and public communications, think about what that means in a blue stronghold like Broward. To atone for its screw ups, the SOE may wind up having to engage in what could have the effect of being a GOTV campaign countywide. Obviously, such a campaign would get out the votes of ALL Broward voters, but MOST Broward voters are voting D down the line. And in a year where the presidential campaign is expected to turn voters out in record numbers, the conversation about medical marijuana as a turnout mechanism for Democrats (an existential fear for Republicans two years ago) has mostly fallen by the wayside. But young, cynical, Bernie Sanders–Ron Paul–Gary Johnson–Jill Stein-type voters, who might, seeing polls for Amendment 2 in the 70s, otherwise stay home, will now have additional motivation to ensure they get to vote for medical marijuana. And just as turning out a random Broward County voter means you’re likely turning out a Democratic voter, so too does turning out a random, unlikely medical marijuana voter. Forty percent of Rick Scott voters voted for medical marijuana in 2014, so it’s not an entirely partisan proposition, but virtually every poll shows Democrats and Independents are overwhelmingly for this amendment. So, if you’re a watcher of turnout in Florida, pay close attention today. An old pothead with a fedora and a propensity toward righteous indignation could strike a major blow for the cause. Kent will be encouraging a massively blue county to open those absentee ballots languishing by the front door, lighting a fire (no pun intended) under Democrats — and naturally paranoid pot smokers — to get off their butts and vote. And Hillary Clinton will get the benefits of perhaps 70-80 percent of those votes. If Norm Kent’s day in court goes as planned, you may see similar messages coming out of the SOE’s office. Minus the signature and John Morgan’s profane color, of course.